Kelly Alexander has been a part of our office staff for 11 years. She takes care of the daily duties in the office and our customer service needs. 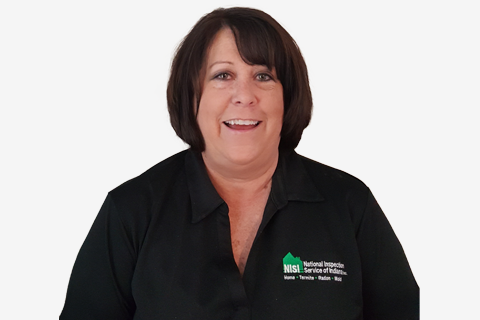 She has worked in many areas of real estate before coming to work for National Inspection Service. Kelly sold real estate for Prudential for 3 years and then moved on to Evansville Titles as their sales representative for the next 6 years. She then spent a year working at the Board of Realtors Office over the MLS. Kelly is certified to perform Mold testing and Radon testing. Kelly is a member of the Women’s Council Of Realtors Evansville Chapter and Southwestern Indiana Association of Realtors.